One of our best sellers in Depok! 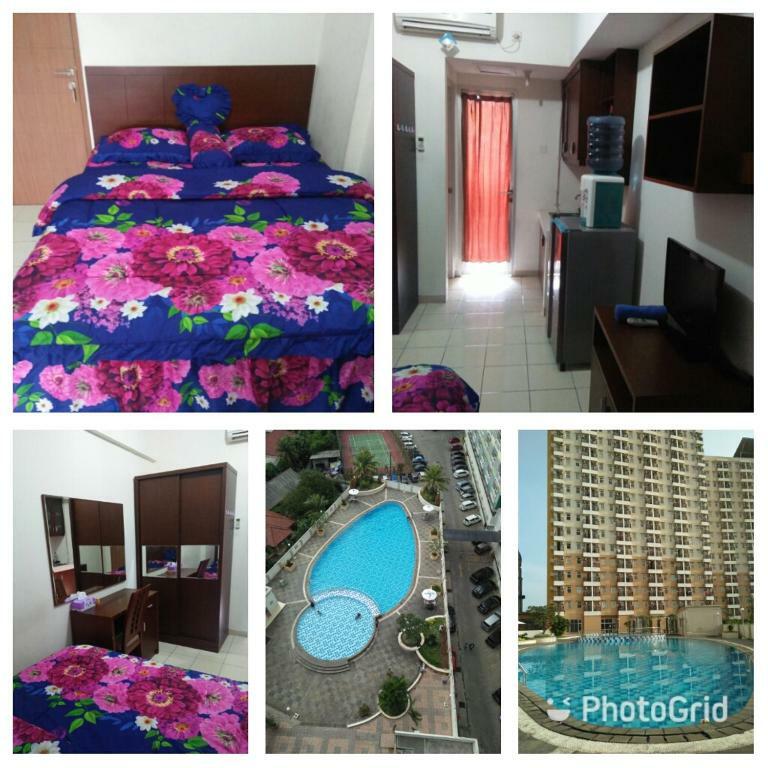 Located in Depok, Sultan Apartment Margonda Residence 2 HH1010 has accommodations with an outdoor pool. Free WiFi is provided. All units feature a private bathroom and have air conditioning, a flat-screen TV and a fridge. A terrace with pool views is offered in all units. Cibubur Junction is 8 miles from the apartment, while Arthayasa Stables is 9 miles away. The nearest airport is Halim Perdanakusuma Airport, 12 miles from Sultan Apartment Margonda Residence. This property is also rated for the best value in Depok! Guests are getting more for their money when compared to other properties in this city. When would you like to stay at Sultan Apartment Margonda Residence 2 HH1010? This apartment has a balcony, garden view and fireplace. Private parking is available on site (reservation is needed) and costs IDR 5000 per day. This apartment features a sofa, balcony and tile/marble floor. This apartment has a tile/marble floor, flat-screen TV and balcony. This apartment features a private pool, sofa and fireplace. This apartment features a private pool, fireplace and private entrance. House Rules Sultan Apartment Margonda Residence 2 HH1010 takes special requests – add in the next step! Everything was good with a decent place to stay. Everything was okay. The security a little bit annoying.